WRITTEN BY MICHAEL PRINS AND ASHLEY CHAPMAN. 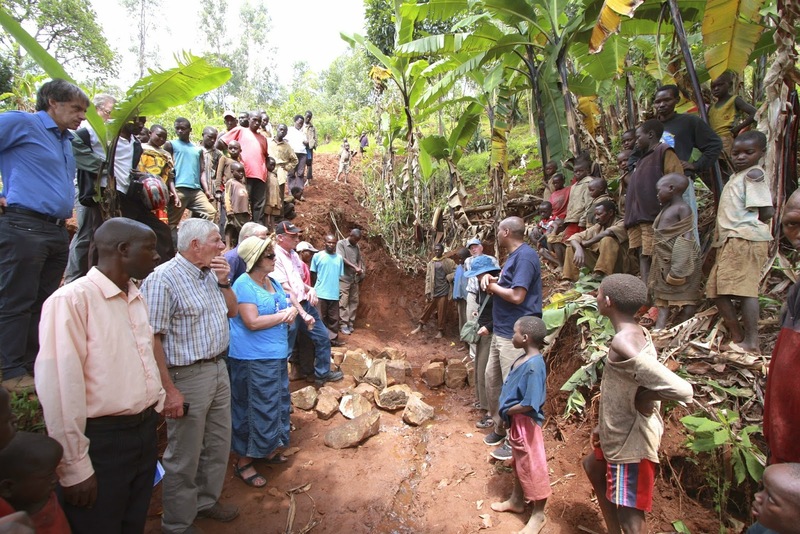 On May 28, about 1,500 people crowded around a small spout at the heart of the Mufumya community. They had been working for this moment for the past year, and dreaming of it long before that. 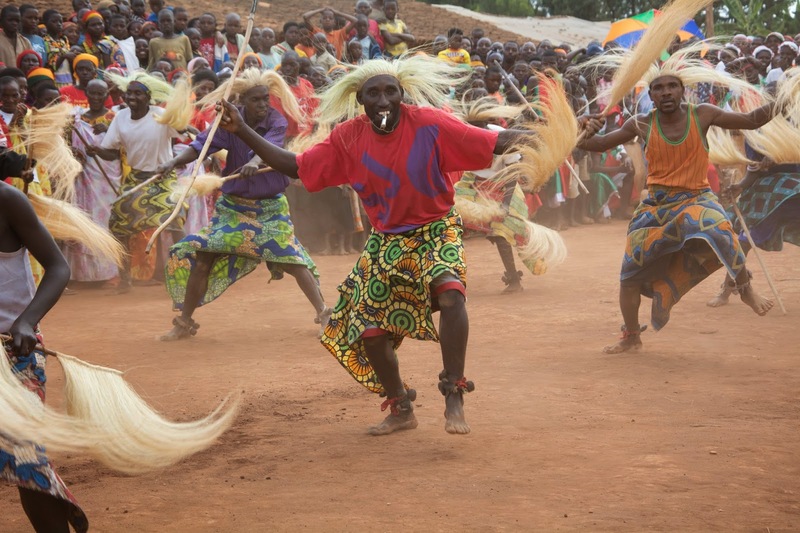 Everyone was singing excitedly as traditionally dressed Burundian drummers brought a whole new meaning to the term “drum roll.” The anticipation was palpable as the overwhelming crowd waited on the power of—gravity. Standing in the middle of the throng were Mufumya’s community leaders and a special guest—Wade Paton from Sherwood Park, Alberta. 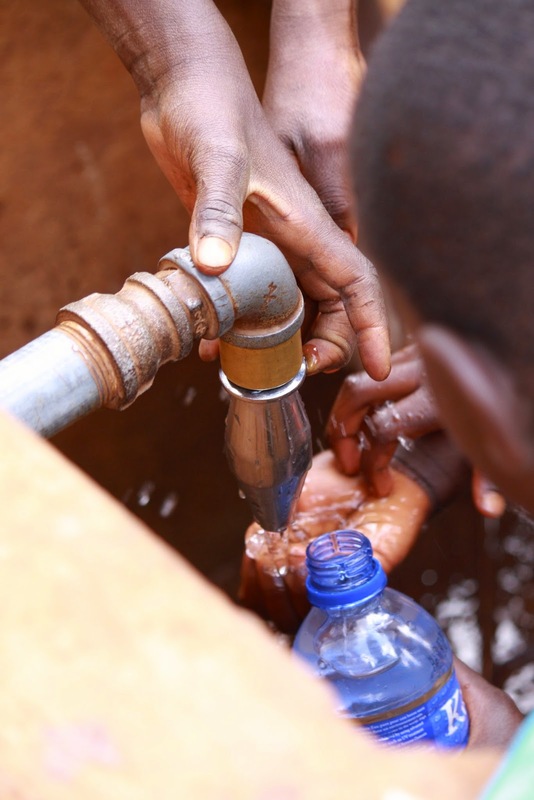 As associate pastor of their partner community back in Canada, the community of Mufumya had chosen him to take the first sip of water from their Gravity Water System. The drum roll got faster and louder as a wide white ribbon was cut: the last barrier between the community and clean water. A red cup was filled with cool, clear water and handed to Wade. He took a sip and the community erupted in cheers. In 2012, Wade was still pretty new to his associate pastor role at Sherwood Park Alliance Church (SPAC). Part of his job was overseeing all of the church’s justice and compassion initiatives, and he quickly learned of the congregation’s growing ties with the community of Mufumya in Burundi. Church member Dennis Steinwand clearly remembers the early days of the partnership. Because of his agricultural background, he was one of the SPAC congregants asked to travel to Mufumya to explore the possibility of a “Community to Community” relationship. For the first time in his life, he would see extreme poverty and come face-to-face with the astounding reality of global inequality. The relationship between SPAC and Mufumya officially began in 2009. Within two and a half years they had already completed three major projects together: terracing hillside farmland, constructing latrines, and upgrading the community’s school facilities. The question in 2012 was, What’s next? Pastor Wade remembers looking through a document he calls the “transformation agreement” that FH helped create to link the church and the community. It became instantly clear that one of the big remaining priorities for Mufumya’s leaders was an overhaul of their water system. The community of Mufumya is part of Butaganzwa district, a region with a population of about 22,900 people. Of the 315 water sources in the district, only 17 were functioning well enough for use. The closest water point for the people of Mufumya was 1 ½ kilometres away, so water was rarely used for hygiene or sanitation. Like most of the springs in Butaganzwa, it was relatively low-lying, meaning there was little water during the non-rainy season and a lot of maintenance needed during the downpours. As a result, dysentery and parasites were just part of life in Mufumya. Wade saw this first-hand in September 2012 when a small group from SPAC was visiting their Burundian partners. The community gathered at the end of the trip and Wade was asked to share a few words. Before he knew it, he was committing to do everything in SPAC’s strength to help Mufumya get the water they so desperately needed. Applause and cheers erupted. His SPAC team quietly affirmed his commitment; they were in this for the long haul. For the next few months, two different stories played out. In Sherwood Park (Edmonton), the travel team brought back greetings and updates to a congregation that had almost hit the three-year partnership mark with Mufumya. Updated pictures and stories were shared between sponsored children and sponsors, and news of the community’s continued progress in education, sanitation, and agriculture was celebrated. The water situation was explained in detail and the church rallied around this latest goal. That Christmas Eve, an astonishing $60,000 offering was collected for the water system. 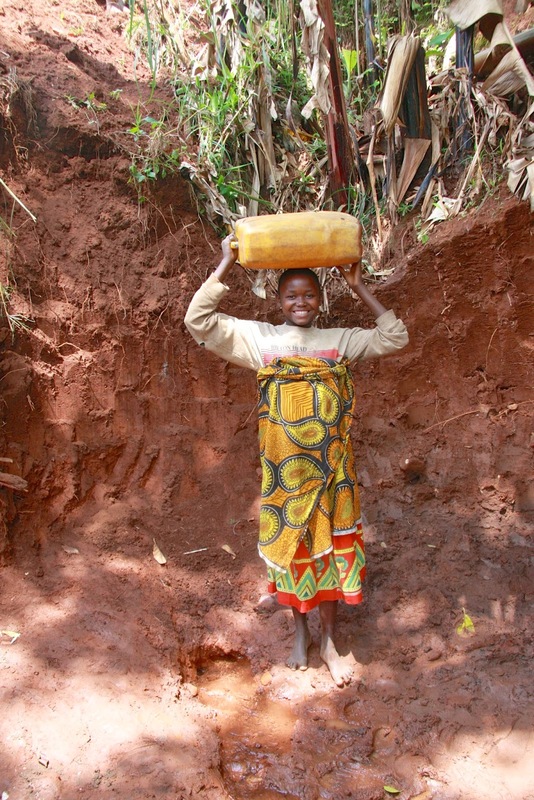 Meanwhile in Burundi, plans were made for the most cost-effective and sustainable water solution. Given that almost 300 water points in the district were broken and abandoned, local leaders and FH Burundi staff had a clear view of what was and wasn’t a fit for their area. They decided to harness gravity in their plan by building an 12 kilometre pipeline from the hillside spring in Cahafi down to the three communities in Butaganzwa with the worst water access — Mufumya, Nyarusozi, and Bumba. FH Canada gave SPAC the finalized project proposal in June 2013 and the church was quick to confirm their commitment — despite a further $150,000 that would need to be raised. Best practices dictated that construction wouldn’t start until 80 per cent of the funds came in, so FH Canada saw this as a long-term project. Not fully considered, perhaps, was the power of relationship and the sense of urgency it added. It was a summer of kids’ lemonade stands, bake sales and birthday parties with donations instead of presents. Among the adults, many would set aside small donations instead of paying for days out with their families or friends. There were some incredibly large and generous gifts, but for the most part it was the smaller donations that quickly added up. They reached the funding goal within two months. On November 12, 2013, about 150 people gathered in Cahafi around the simple spring that would bring water to thousands. Evariste Habiyambere from FH Burundi and outgoing FH Canada president Ben Hoogendoorn were among those invited to say a few words at the project’s official dedication ceremony. Construction began a few months later to cap the spring, dig trenches for the pipe and build five water tanks along the pipe’s descending course — three in Mufumya, and one each in smaller Nyarusozi and Bumba. The tanks serve as a central source for a number of taps in the area. A specialist was hired to help with the technical implementation and a skilled engineer was tasked with supervising the project. Further labour was divided, with community members in Mufumya responsible for digging four of the 12 kilometres of trench. 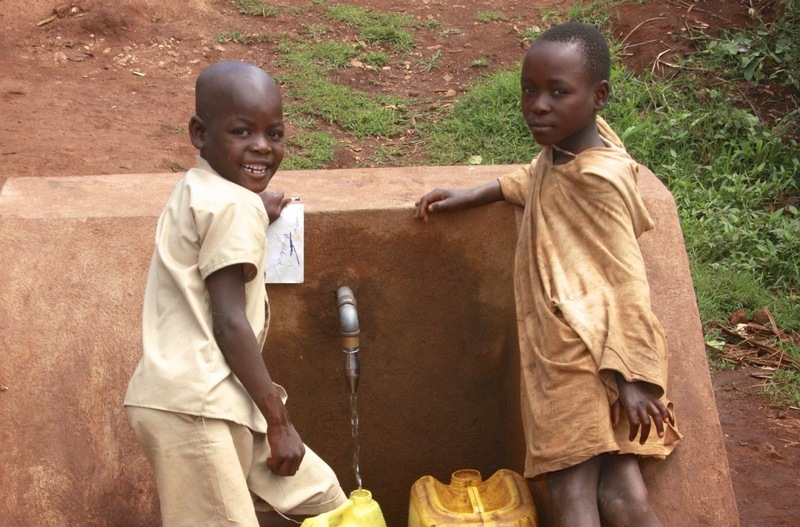 Getting clean water to Mufumya wasn’t just a matter of physical infrastructure. Sustainability required two other components of the project, planned by local leaders and FH Burundi staff: a water association and community-wide health and hygiene training. The community-led water association was tasked with managing and maintaining the system to comply with all of the government’s water guidelines. Local technicians were trained and equipped to monitor all the operations. Because it was women who previously bore the burden of collecting water, they now make up most of the trained association members who ensure the continued success of the system. And keeping in step with the desire to empower families to make the most of their water, FH will continue to facilitate health and sanitation training seminars throughout Mufumya. This June, as clean water finally flowed into Mufumya, it marked more than just a physical transformation. “You could see it as just water coming out of a pipe, but that’s only two per cent of the deal,” says Wade. “It has inspired hope in a community and now they are taking on the next pieces in their transformational development plan. 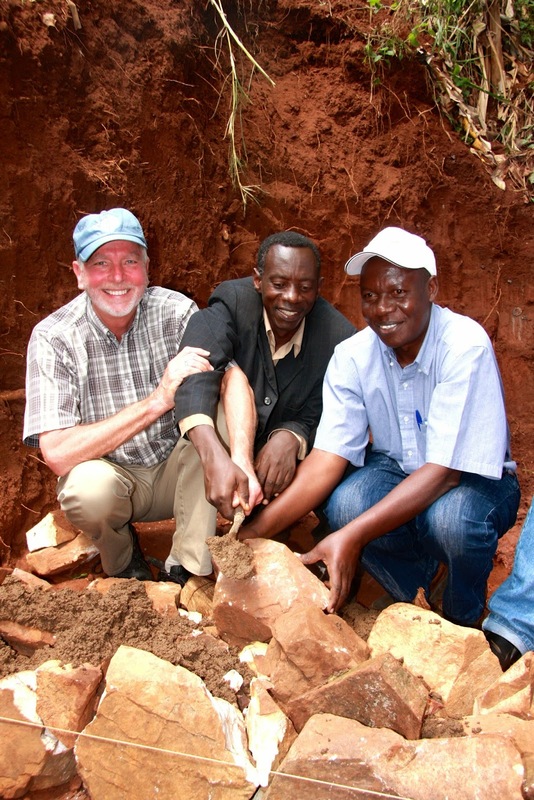 Dennis was also able to return to Mufumya to see the launch of the water system. As one of the initial members of the SPAC community to connect with the leaders and families in the community five years ago, he has a unique vantage point on the partnership. He says it’s the “community to community relationship” that cemented his desire to get involved. Five years, four major funding initiatives, and several hundred child sponsorships later, it’s clear that SPAC cares deeply about the people of Mufumya. To find out how your church can journey with a developing community, check out our partnerships page.